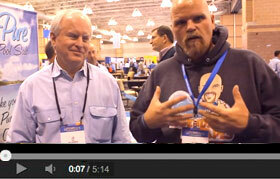 At the 2015 Atlantic City Pool & Spa show, Ask the Pool Guy introduced Lee Tate, the creator of the Pipe Debonder. 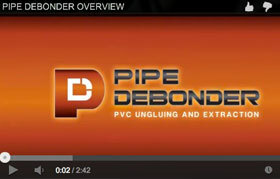 He declared the Pipe Debonder Product of the Year with Two Thumbs up! 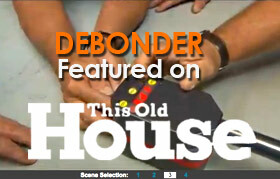 In January 2013 PIPE DEBONDER was featured on This Old House in its "What is it?" segment. Click on the video and SELECT SCENE 3 to see the segment. 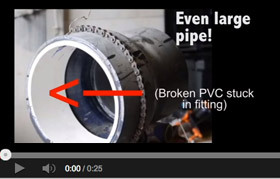 In this video, see how to prepare the large Gas Debonder for usage then watch 12" pipe get debonded with the broken fitting removed. The propane-based Gas Debonder works with pipe from 4" to 12" in diameter, schedules 20, 40, and 80. 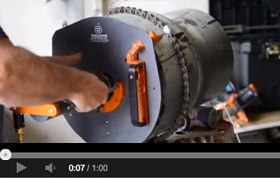 This narrated short video takes you step by step through the process of using the Large DEBONDER to unglue and extract pipe. Unglue and remove pipe with Pipe Debonder. 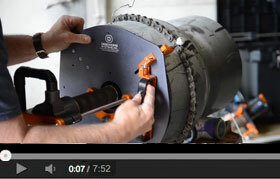 This video provides an overview of the operation of the small, medium and large pipe debonders.